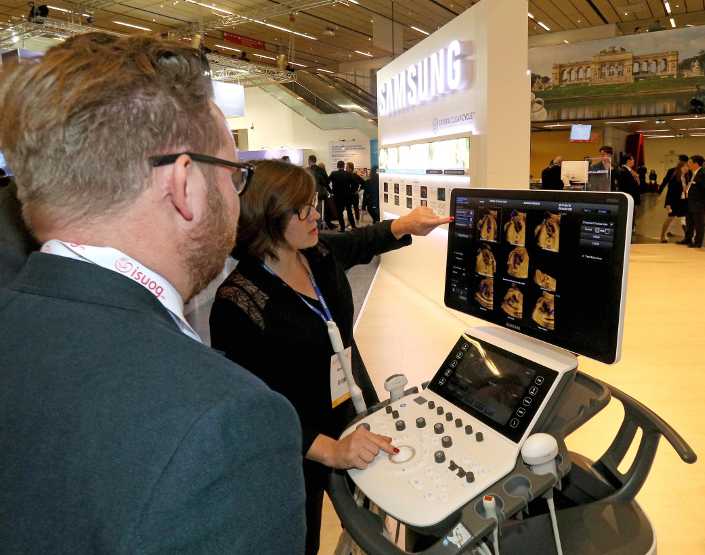 Samsung Medison, a global medical equipment company and an affiliate of Samsung Electronics, is hosting a number of seminars at the 27th World Congress of the International Society of Ultrasound in Obstetrics & Gynecology (ISUOG) in Vienna. 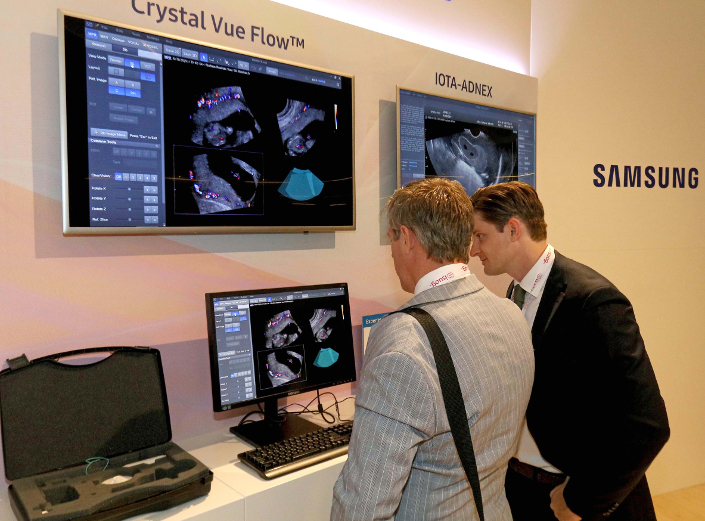 Through 13 sessions at Samsung’s Satellite Symposium, leading medical professionals are publicizing the clinical benefits of Samsung’s ultrasound imaging solutions for women’s health. Professor Lami Yeo, M.D., from the Department of Obstetrics and Gynecology at the Wayne State University School of Medicine in Detroit, U.S., presented research on the diagnostic performance of Fetal Intelligent Navigation Echocardiography (5D Heart™) which showed a sensitivity of 98%, specificity of 93%, and accuracy of 95% for the prenatal detection of congenital heart disease*. She also explained that 5D Heart™ offers a rapid and simple solution to screen for and diagnose congenital heart disease by generating nine standard fetal echocardiography views in a single template display. Additionally, novel research conducted on color Doppler Fetal Intelligent Navigation Echocardiography (5D Heart Color™) will be published in the October 2017 issue of the scientific journal Ultrasound in Obstetrics & Gynecology (UOG), which will also feature on its front cover, the prenatal diagnosis of congenital heart disease using 5D Heart color™. In addition recently developed diagnostic tools such as E-Cervix™, Crystal Vue™ and IOTA-ADNEX from Samsung’s Crystal Clear Cycle™, the lifelong healthcare solution for women, are also being presented throughout the congress. Samsung also displayed prototypes of ultrasound system with new ergonomics and stress-relief transducers, as well as cloud-based IT solution at a private room for selectively invited key opinion leaders. Visitors to the room shared feedbacks that the next-generation product meets the needs of professionals and patients with a form that is entirely unlike the norm. Some also showed positive response to the new IT solution designed to provide efficiency for doctor’s demanding tasks, and that they look forward to its commercial release. For additional information, [click here]. * Congenital heart disease is the most common organ-specific birth defect, and is also the leading cause of infant mortality from congenital malformations. The performance of conventional two-dimensional ultrasound of the fetal heart is time-consuming, requires considerable expertise and skill, and therefore is highly operator dependent. As a result, not all fetal cardiac views required for the accurate prenatal detection of congenital heart disease may be routinely obtained.